Flip a coin. 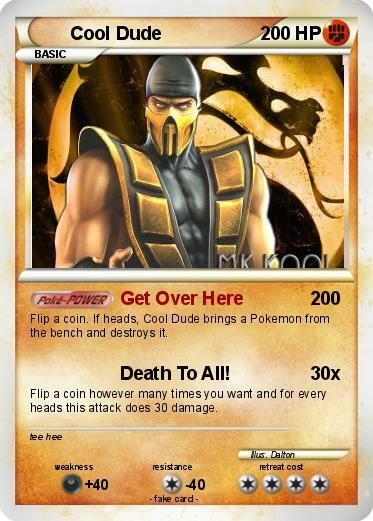 If heads, Cool Dude brings a Pokemon from the bench and destroys it. Attack 2 : Death To All! Flip a coin however many times you want and for every heads this attack does 30 damage.